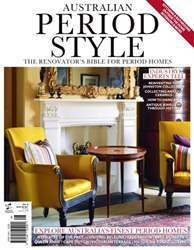 Australian Period Style is a unique annual magazine that looks at where we come from and how we once lived. It offers an opportunity to explore period decorating for Australian homes showcasing two centuries of style which has previously included Colonial Georgian, Old English Gothic, High Victorian, Between the Wars and Postwar Modern. 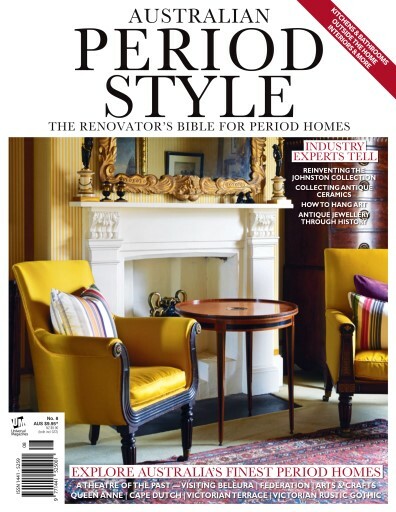 Period Style not only defines the styles, provides examples of houses and of decoration but gives readers an insight into the many influences and contradictions that could be taken into account when renovating their homes.